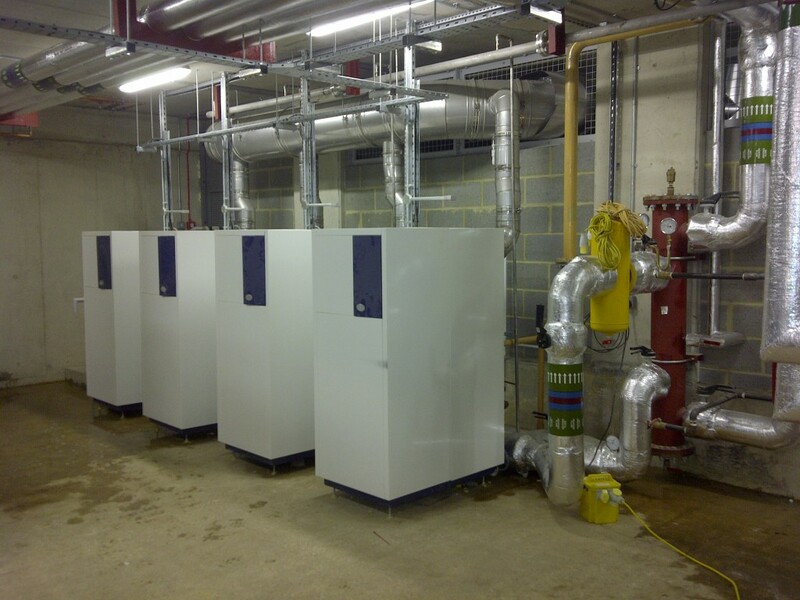 Gas-fired boilers, system separation plate heat exchangers, HWS plate heat exchangers and HWS buffer vessels from MHG Heating are helping Berkeley First to keep the post graduates of Imperial College warm and clean at the 500+ bed accommodation blocks recently built in Clapham, South West London. The MHG equipment was specified by consultants JDA Associates and the mechanical installation was undertaken by A & J Ryan Mechanical Services Ltd. Phase 1 consists of 452 state of the art studio flats. The heating and hot water demands required a boiler load of 900kW, with 4000L of hot water storage. Phase 2 consists of 111 state of the art studio flats. The heating and hot water demands required a boiler load of 450kW, with 2000L of hot water storage. Phase 1 of the project was completed in 2011. Phase 2 is due for completion by mid 2012.